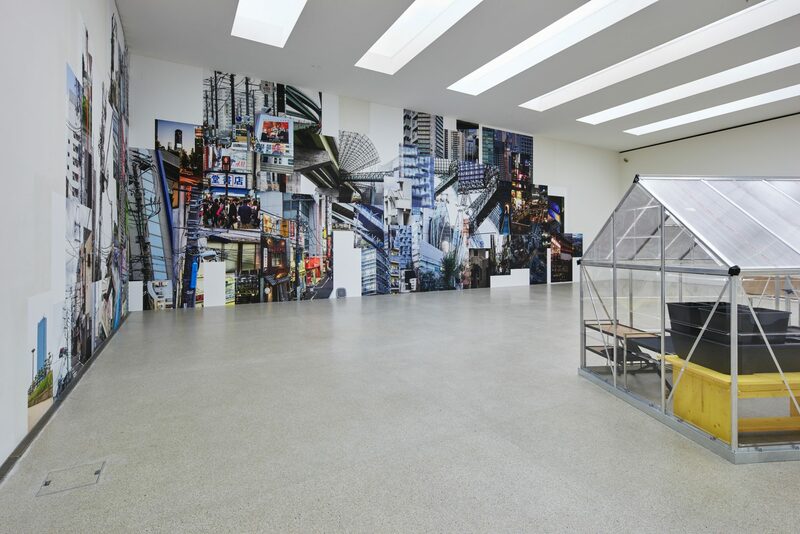 The presentation in Art CentrePasquart is the most comprehensive exhibition to date of the photographer and installation artist, Esther van der Bie (*1962, CH). A series of new works questions the relationship of people to nature and their world views that result from this. 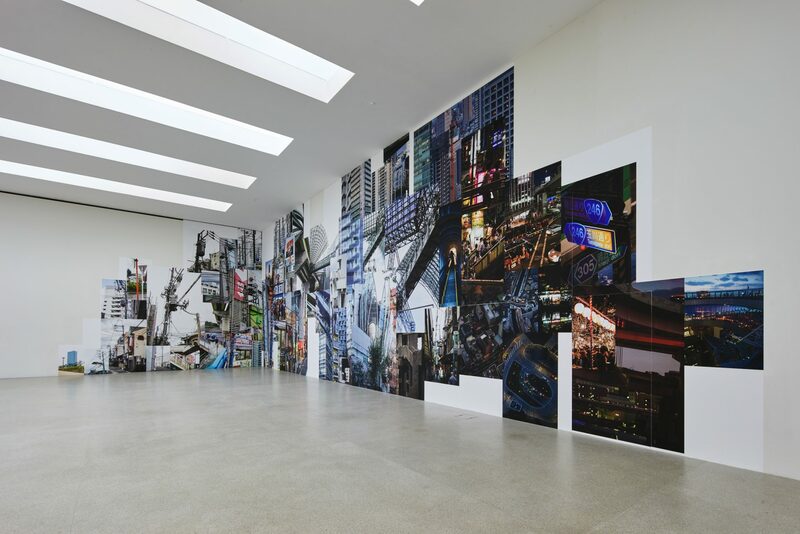 Through photographs, videos and installations the artist examines ethical attitudes and economic phenomena. The exhibition makes connections between global, collective challenges and subjective efforts. Highlighted are aspects such as the desire for control or dependency, linked to existential fear. Idealisation and romanticisation, on the other hand, are often manifest in trendy, urban gardens, while spiritual longing is reflected in the individual aspiration for healing and well-being. A central work is the film Die Rückeroberung (“The Recapture“), 2015, which tells the story of an exiled tree, fleeing the Swiss forestry industry. A precious porcellan bonsai, a park made of plastic tubes as well as a vibrating city landscape complete the field of tension in the exhibition. The artist creates an aesthetic of nature which, partly ironically and partly critically, sharpens our awareness of the role of nature in our society. 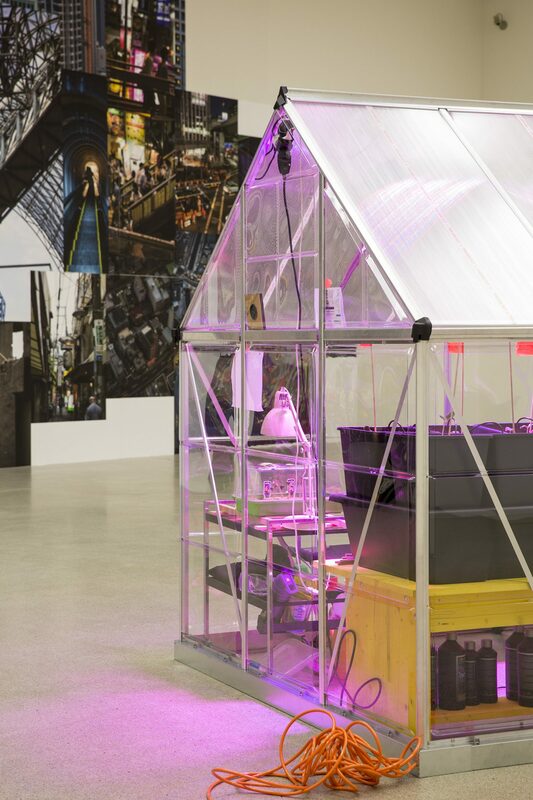 Esther van der Bie’s artistic research is driven by ecological challenges on a world scale as well as the reciprocity between individuals and nature. Her connection to Japanese culture is apparent in the work Tōkaidō, 2015. A seven metre long photographic leporello and Die 53 Stationen des Tōkaidō (“The 53 Stations of the Tōkaidō“), designed by Utagawa Hiroshige in the 19th century, will be shown together. Both series of images show Japan’s trade route between the industrial metropolis, Tokyo, and the former seat of government, Kyoto. The combination of historical and contemporary representations produces a field of tension between the idealised landscape and unembellished reality. For the sound installation, Im Wald (“In the Wood “), 2005 the artist uses drainpipes, which she has transformed into tree-sculptures, A park landscape of trees arranged in groups is completed by a sound composition based on the sounds of tweeting birds which appear to be having a party. The five photographs in the series Das Bäumchen (“The Little Tree“), 2010 (in progress) treat questions concerning camouflage and adaption to nature. Observers of Die Rückeroberung are taken on a journey with a little tree that is fleeing the chain-saw of a forester in Switzerland and is seeking a safe place. The tree wanders through the populated world and eventually reaches Iceland. During the journey it meets the flingers of tree trunks, debates with a philosopher about cosmologies and ontologies and questions a salesman of Christmas trees. Sharp-witted and with much humour, the protagonist – the tree as a mythical creature, acting a human being – leads us into a world of the systems that humans have constructed. The expectation that humans have of nature becomes a projection of self-reflexion and self-examination. The work In the Nature of #2, 2015 takes up this view in that the artist places two photographs of proliferating plants opposite each other in a room. 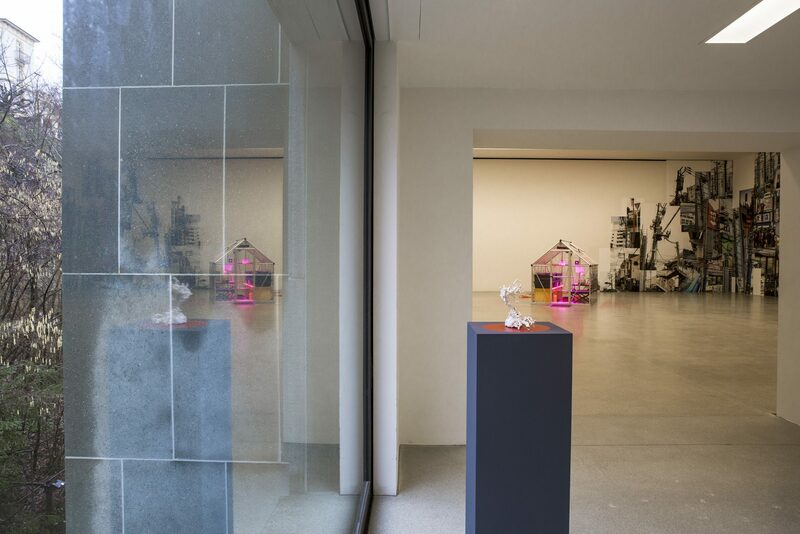 One of the images is mounted behind white glass, the other is printed on reflecting glass, thus integrating viewers in the image through their reflexion. “Urban Gardening“ promises ecologically-minded city-dwellers apparent sustainability and makes possible the transformation of urban space into green areas. With gentle irony the works Brave New Garden, 2015 und Secret Garden, 2015 investigate trends related to nature. A projection reproduces a lively WhatsApp-correspondence between the tenants of a tower-block, who discuss a shared garden project. 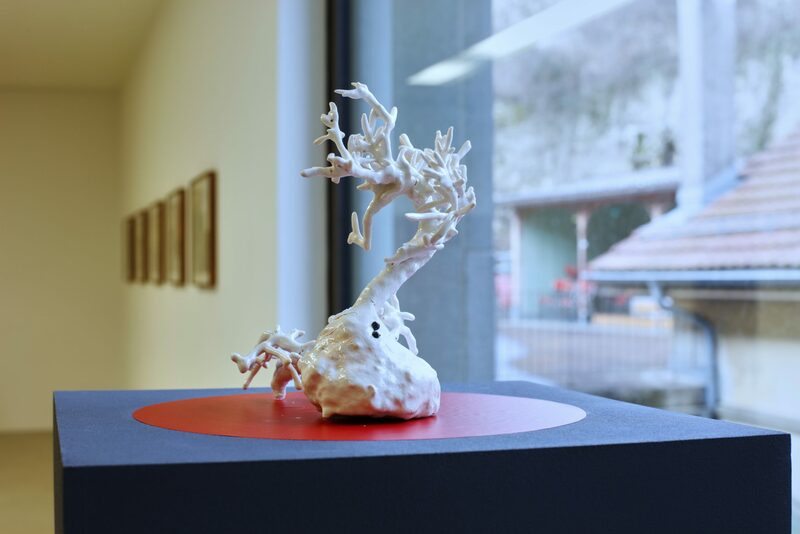 Opposite this a bonsai cast in porcelaine refers to a directed, controlled and also idealised nature. The works in the series Nach Hiroshige (“After Hiroshige“), 2015 are images printed on Japan paper that pose the question whether it is possible to photographically capture the present day in Japan in a way in which it corresponds compositionally and in terms of our perception of space with the traditional ukiyo-e prints. With a nod and a wink the work In the Nature of #3, 2015 shows us that the apparently wild aspect of the urban space has to be protected. 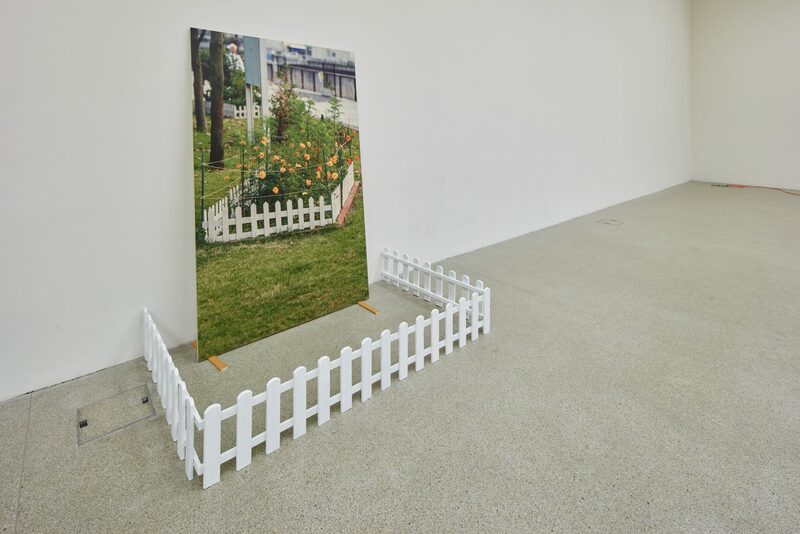 The fencing in of an overgrown flower meadow in a city is the motif for a photograph that again is “framed“ by a garden fence. 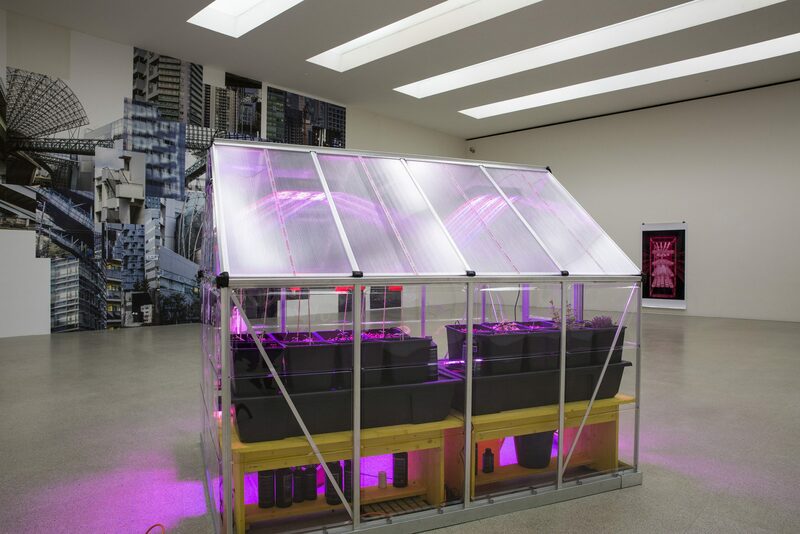 In the Nature of #1, 2015 is a large-format colour photograph that depicts a rack as it is installed in “Vertical Gardening“.It concerns a form of extension that is currently very widespread and is promoted as the promise of a secure future. The size and diffuse presence of the image underline the ambivalent promises of the future. 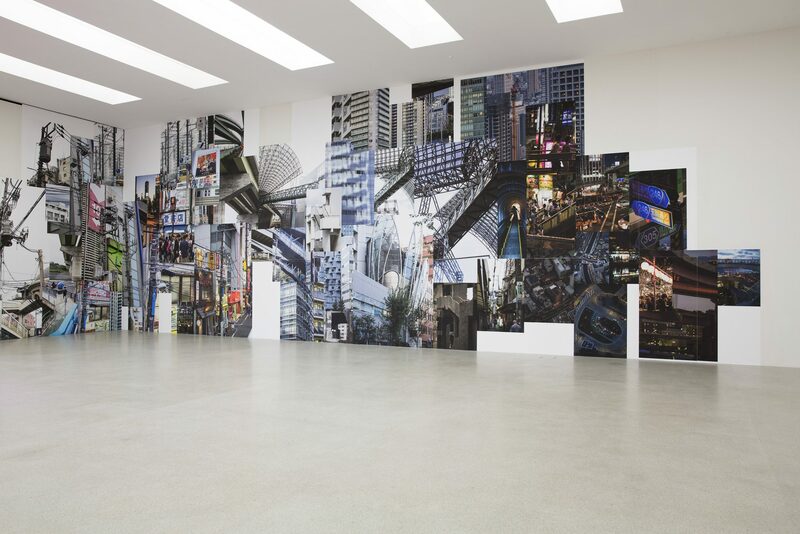 The megalopolis Tokyo and its surroundings form the starting point for a comprehensive photographic research which finds its conclusion in the work Die Verdichtung (“The Agglomeration“) 2015. On the large collage can be seen a cityscape with electric trees, mountains and ravines made of concrete, making clear the growth in the number of people. 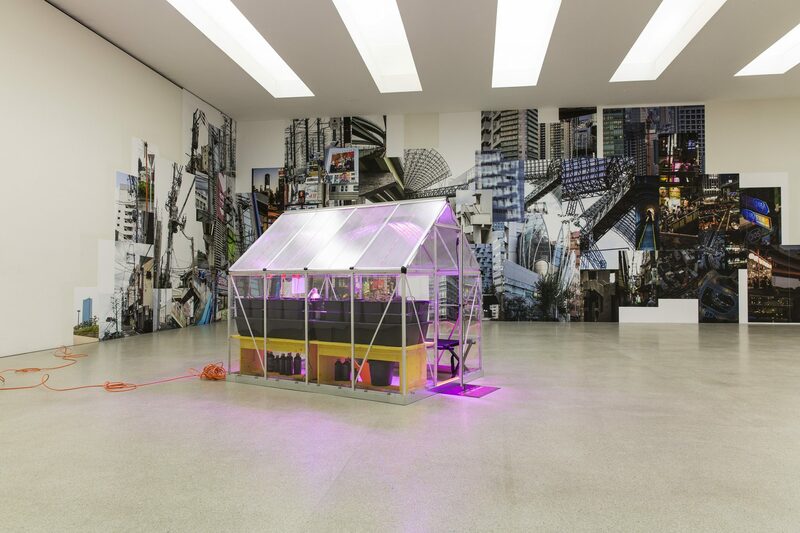 The installation Stirb autark (“Die self-sufficiently“) 2015, consisting of a small house in which plants grow and a sun lounger is placed, can be read as a critical commentary on theories by conspiracy theorists about the end of the world. 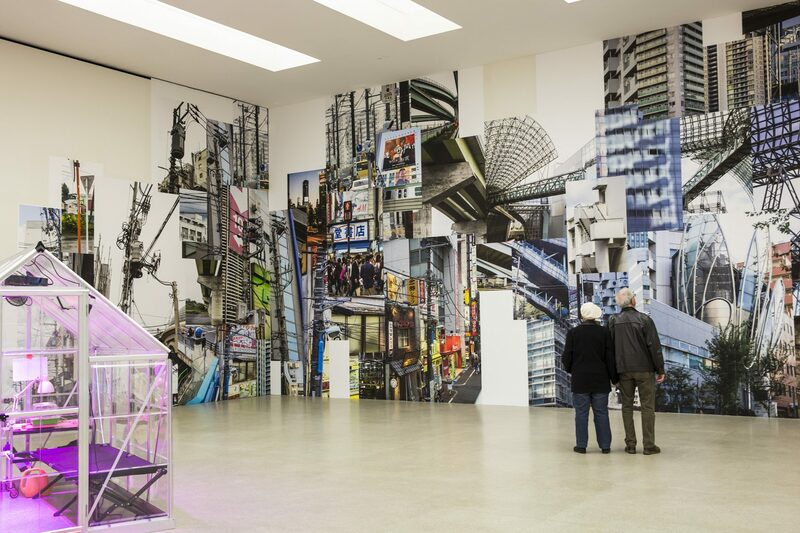 The works in the exhibition link delicate subjects such as the scarcity of resources, climate change or over-population with various approaches to systems. They bring home to us the absurdity of our dealings with apparently tamed nature in our society and question nature as a place of self-reflection. Fotos / Photos: Esther van der Bie.